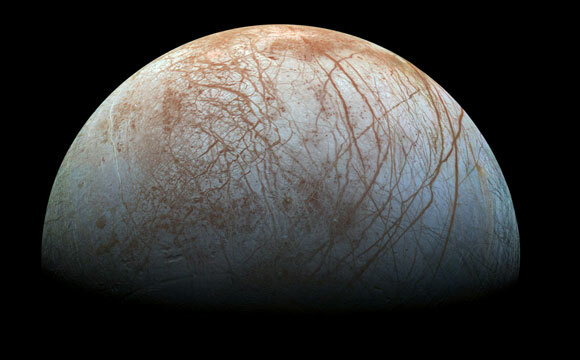 NASA will host a teleconference at 2 p.m. EDT Monday, September 26, to present new findings from images captured by the agency’s Hubble Space Telescope of Jupiter’s icy moon, Europa. To participate by phone, media must contact Dwayne Brown at 202-358-1726 or [email protected] and provide their media affiliation no later than noon Monday. 1 Comment on "Evidence of Surprising Activity on Europa"
Place bets. Mine is that the earlier plumes/geysers detected by Galileo, were confirmed by photos taken by Juno.